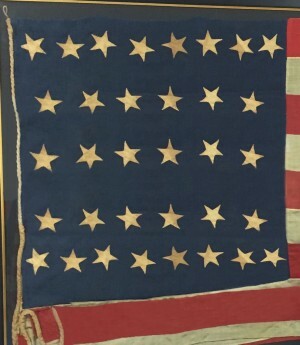 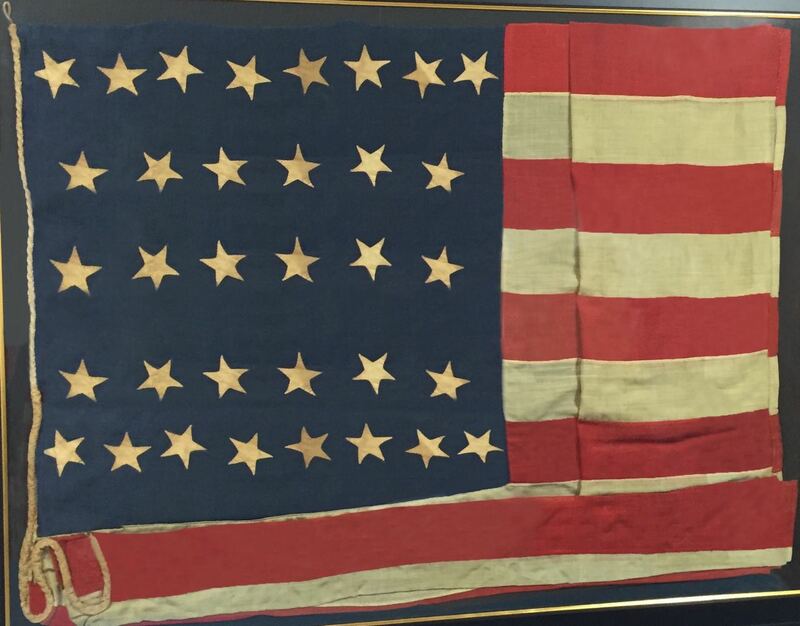 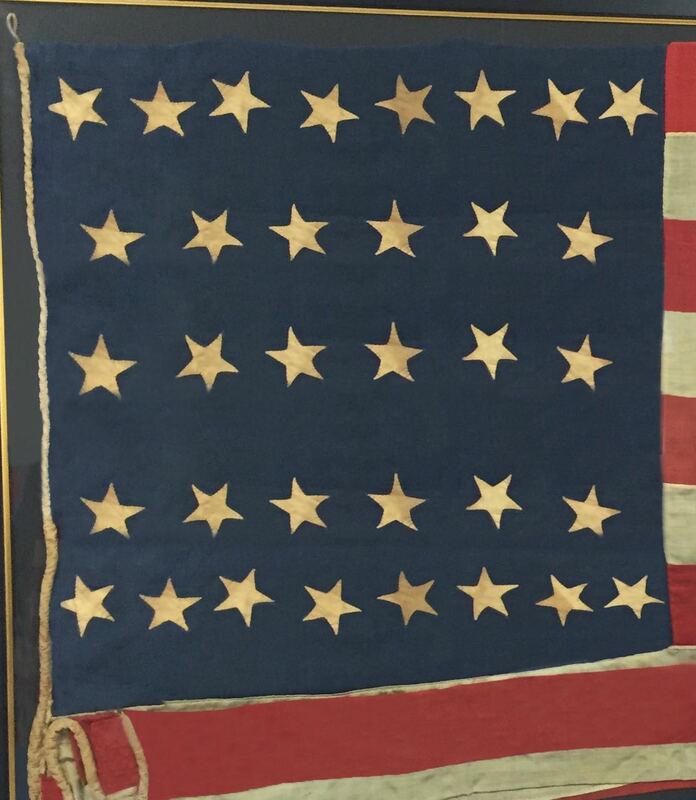 Abraham Lincoln was President when this flag was used. 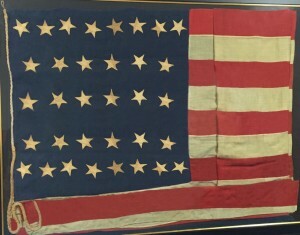 Circa 1864. 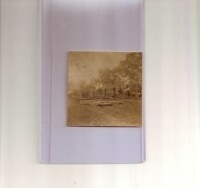 Museum framing with UV acrylic. 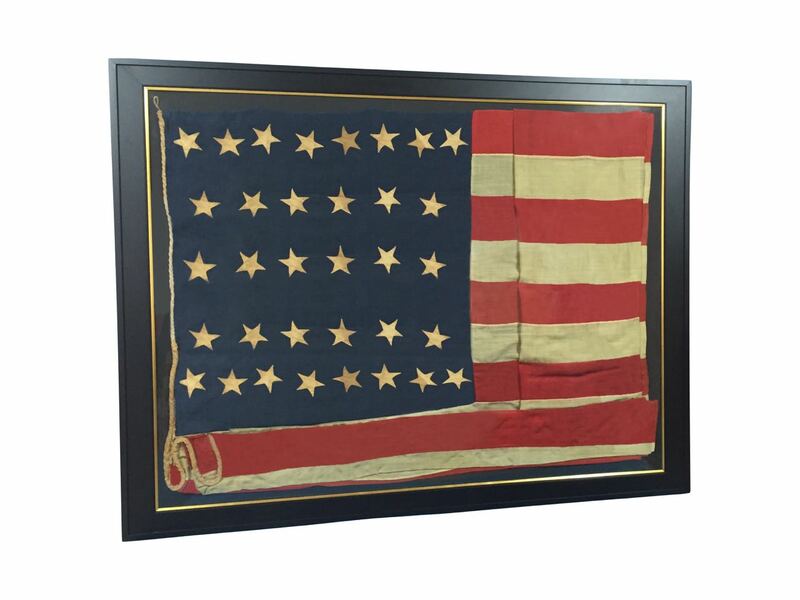 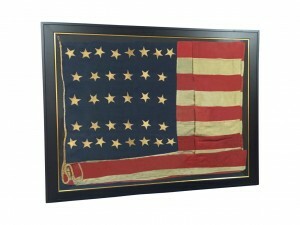 Large flag 80″ wide.